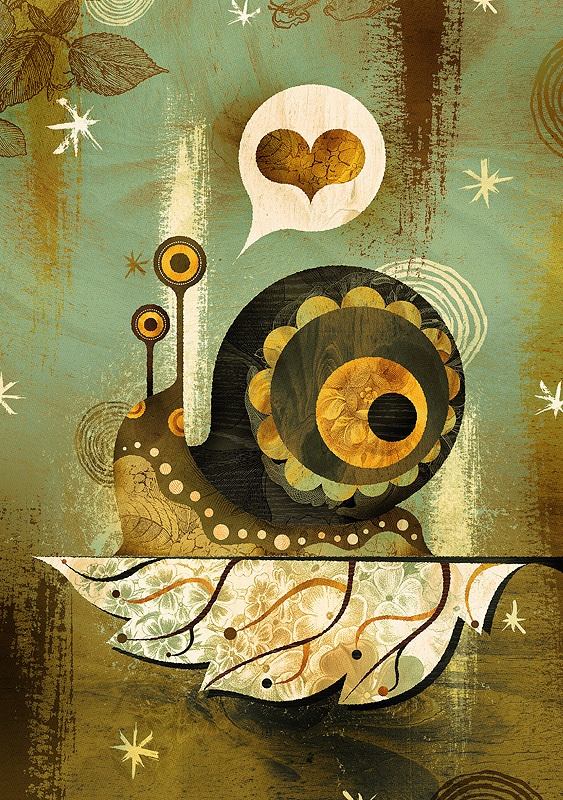 Alberto Cerriteno has released new three Giclee Prints in limited and open edition basis, one more addition to the enamored creatures family, this time the Enamored Snail. They are now available at his Etsy shop! Alberto Cerriteño is a Mexican illustrator who has lived in America; Portland for nearly two years now. Strongly inspired by urban vinyl toys, alternative cartoons, and the pop su… Show more. Send a message directly to Alberto Cerriteno. Alberto Cerriteño is a Mexican illustrator who has lived in America; Portland for nearly two years now. Strongly inspired by urban vinyl toys, alternative cartoons, and the pop surrealism movement, Alberto Cerriteño has developed his own very personal technique and style. There are delicate hints of traditional Mexican artistic influences in his management of rich textures and decorative patterns. These contrast strikingly with the blending of desaturated colors and ink, sometimes featuring a vintage coffee finish. Alberto Cerriteño illustrations have recently been recognized by progressive art institutions such as Juxtapoz, Create, Drawn!, The Little Chimp Society, Computer Arts, Communication Arts and Advanced Photoshop Magazine. He has also been invited to participate in collaborative art projects around the world.